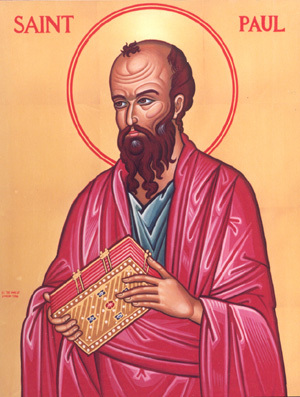 St Paul’s story of faith weaves his religious training by chief rabbi Gamaliel together with his tax collector days and with his conversion on the road to Damascus. His faith is tested during his preaching and church-founding days as he travels around the Mediterranean Sea. Raised a devout Jew, Saul of Tarsus became a tax collector in the hinterlands of the Roman Empire. Especially hard on those who claimed to believe in Jesus, Saul was very successful. He is transformed by Jesus’ appearance on the road to Damascus. Giving up his first life, the new Paul preaches the teachings of Jesus to Jews and Gentiles throughtout the Mediterranean. 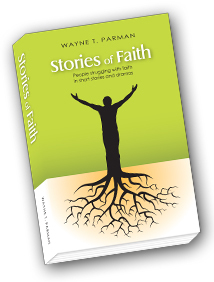 His story of faithtells how he is trapped between Rome’s power and Jerusalem’s religion.He is the first to argue that God’s grace is a free gift, if it is accepted. RACHEL: All right, David, this question is for you. Joseph’s brothers got jealous because their father spent more time with him than with them. What did they do to Joseph? DAVID: Threw him in the pit! RACHEL: Yes, that’s right. But then they worried that he might be found. So, then what did they do? DAVID: Threw him in another pit! RACHEL: (gently) No, no. Who remembers? (One raises his hand) Ezekiel? EZEKIEL: They sold him into slavery. RACHEL: Yes, that’s right. And where was he taken? DAVID: Mama, it’s a man named Saul. He’s all dusty. DAVID: Come in, Uncle Saul. RACHEL: Shoos the boys outside). That’s enough for now. It’s time for play. Walk! Walk to the door. (She runs to greet and hug Saul). Oh, you’re so thin! Are you eating enough? Has it really been three years? We got your letter from Damascus. Oh, how are you? SAUL: I’ve been eating well, Rachel. I can see that life has been good to you. I recognized David as yours immediately. What a handsome boy. you sit with me? What have you been doing in that desert for three years? (They move to her teaching desk, which is a table with eight chairs). SAUL: I’ve been studying my Lord’s teachings. RACHEL: Religion again! Didn’t you get enough of the law from Gamaliel? SAUL: Yes, I definitely had enough of the law. RACHEL: Well, then. What “Lord” are you talking about? RACHEL: Not that crazy sect! Don’t we have enough disagreements in Jerusalem? Pharisees, Sadducees, Essenes. And now Nazarenes. Is there no end? SAUL: Actually, I am getting ready to travel and teach in the Gentile world, Rachel. That’s why I came to see you. To say goodbye. RACHEL: Goodbye? You just arrived! Oh, Saul, you’re still the same. Always committed to the utmost. Why Gentiles? SAUL: Because my Lord commanded it. RACHEL: Listen, Saul. When you wrote from Damascus that you had been blinded and heard a voice telling you to (she pantomimes shouting down a well) “stop persecuting me,” I thought you had been in the hot sun too long and you would come to your senses. Now you tell me you’ve been studying this “voice’s” teachings for three years and you’re going to teach Gentiles. I don’t get it. What happened to Moses’s law? To Gamaliel’s wisdom? SAUL: Both are still here, Rachel. But that’s the point. They are here. And they affect Jews. The Essenes were right, but didn’t know it. God is not in that Temple (pointing in the direction of Solomon’s Temple). He is in us, all of us. RACHEL: Essenes! My God, Saul, they’re a bunch of fanatics. Who cares what they think? SAUL: I didn’t, Rachel, but their single-mindedness is instructive. Their passion is the law, as was mine. But I am beginning to see that there is something… something very different that God offers. We Jews have missed it. (He pauses and studies his hands). And… and these hands have the blood of many believers on them. I’m going to try to repair some of the damage I did to people’s lives. RAHCEL: But, Saul, you aren’t one of those people who followed this Jesus around Judea and claim to have seen him rise from the dead. SAUL: I am an apostle, a follower. My claim on him is perhaps even stronger than his original followers. He came to me and spoke directly to me when I was persecuting them. “Why are you persecuting me?”, he asked. (Looking into the distance) At that moment, Rachel, I became a different man. RACHEL (Affectionately, but still confused): Saul, you always drove me crazy with your religious devotion. You haven’t changed. SAUL (Smiling): Perhaps not, Rachel. I really did come to say goodbye.